I'm delighted to be working in partnership with St Georges NHS Foundation Trust to deliver an in-service, Dancing with Parkinson's programme bringing high quality artistry for people with Parkinson's to the local community within the Brysson White Unit at Queen Mary's Hospital, Roehampton. 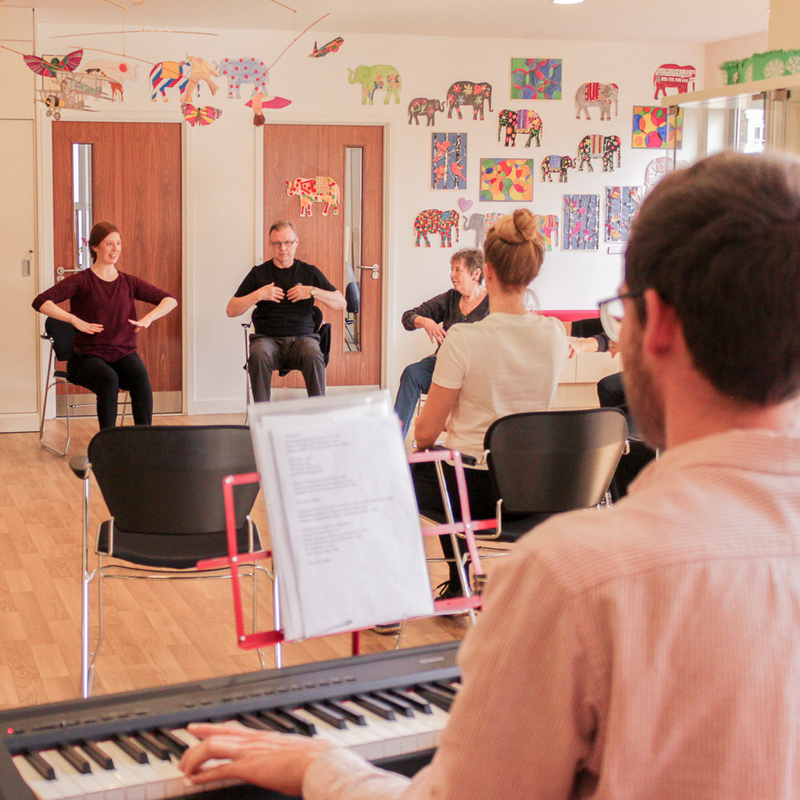 We are seeking adaptable and versatile musicians interested in developing their skills and working in partnership with Danielle Teale Dance to deliver ‘Dancing with Parkinson’s’. You will typically be available on Tuesdays or Thursday mornings from 11am-12.15pm and then to stay afterwards for tea and biscuits with dancers. Dance will take place at the Brysson White Unit at Queen Mary’s, Roehampton, London SW15 5PN for three terms per year. The role of an apprentice musician will involve training with Danielle Teale and shadowing an experienced Parkinson’s dance musician to develop skills in working with people with Parkinson’s. The musician will then be involved in a collaborative relationship with Danielle Teale, creatively planning and designing class content together, including accompaniment and as a leader delivering musical sections of the class such as rhythmic and vocal work. Confident in improvising / adapting repertoire and sight reading, it is preferable for the applicant to have some experience leading music activities in community or clinical settings. Some experience working with dance is also desirable. Players of all types of instrument will be considered. If you have any questions about the role or working with dance, you can also contact Danielle Teale. As part of the exciting new collaboration with St. Joseph’s Hospice we aim to expand the number of musicians working with people with Parkinson's. 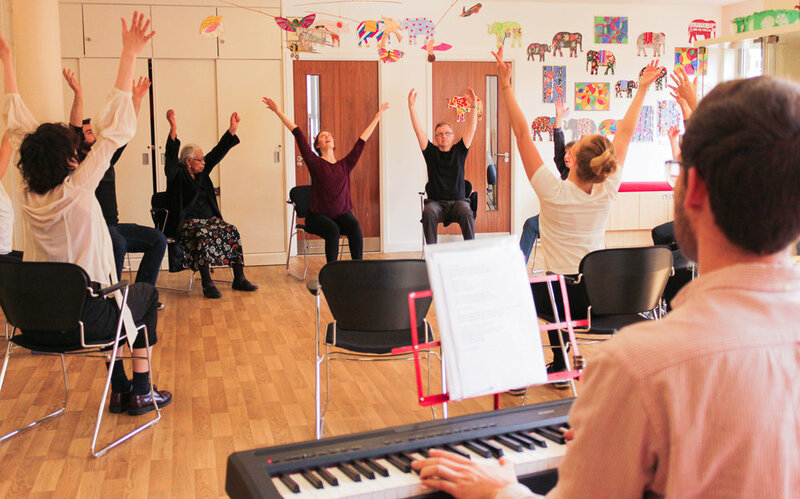 We are therefore looking for a community musician interested in developing their skills and working with a dance artist to deliver a pilot ‘Dancing with Parkinson’s’ community class in Hackney. The role of an apprentice musician will involve training with Danielle Teale as the lead dance artist and shadowing experienced musicians to develop skills in working with people with Parkinson’s. The musician will then be involved in creative planning and design of class content as well as accompaniment for dance activities including seated and standing dance encouraging freedom of expression, a chance to engage with narrative, storytelling, and improvisation. The musician will be an accompanist and leader delivering some musical sections of the class such as rhythmic and vocal work. The closing date for applications is Friday 30 September and musicians will be asked to an interview on Monday 3 October.